2 Owner 993 Cab! New Tires! 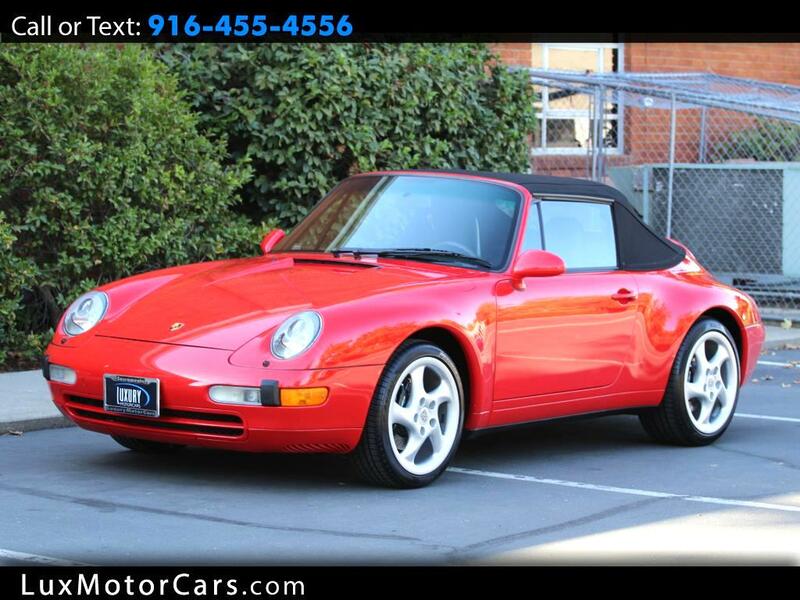 Luxury Motorcars is excited to offer another rare 1998 Porsche 911 Cabriolet that comes in Guard Red over a black leather interior. This car has been service regularly and comes with a great set of service records. This being the last generation of air-cooled Porsche's this comes in high demand! Showing as if it just rolled off the lot this car offers no excuses. Clean Carfax with no accident history, no damage reported, and spent most of its life in California. The service records date back to 1999, showing just how well this car was maintained. The previous 10 years this car has been solely maintained at the Porsche dealer. Inside and out this car will absolutely impress. Paint looks fantastic, interior show little to no wear, and it drives like it just came off the lot. If you are in the market for a fun top down air cooled Porsche then look no further. Message: Thought you might be interested in this 1998 Porsche 911.